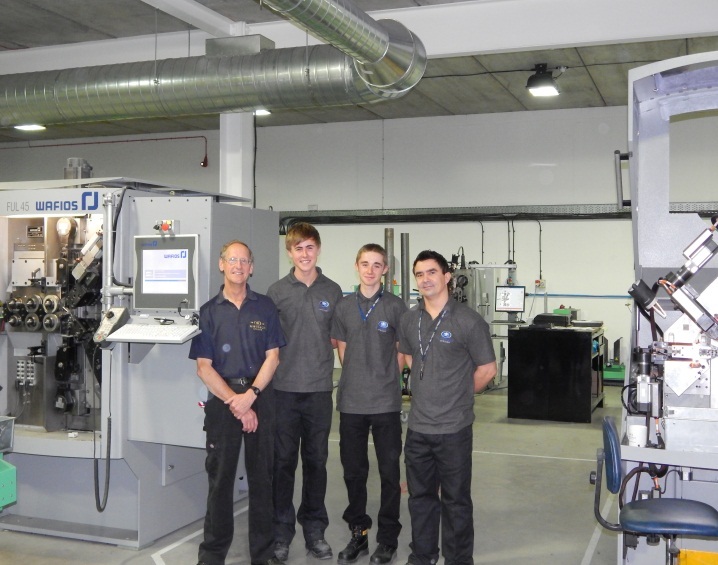 Max Greathead from Haworth and Alfie Moses from Oakworth have joined Airedale Springs as CNC machine setter apprentices. Both are undertaking NVQL2 in Manufacturing Process Operations which includes spring making. They have received induction and basic spring manufacturing training under the watch full eye of Brian Russell who has come out of retirement to oversee Max and Alfie’s basic training programme. Brain retired in June 2013 but having trained the majority of the company’s skilled spring makers over the years, has always been keen to pass on his skills to following generations and is delighted to see the Company investing in new setters for the future. Both trainees have settled in well and are looking forward to becoming key members of our skilled team of machine setters.